Invest in technology versus non-productive office build out costs. 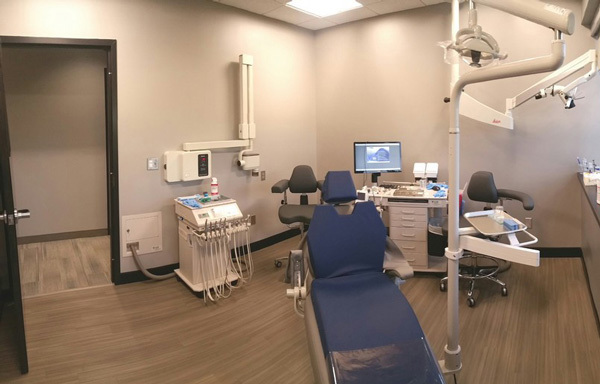 In today’s competitive environment it is vital that dentists invest proportionally more of their office development costs into revenue or referral-generating technology that will distinguish the treatment room from that of traditional dental office designs. 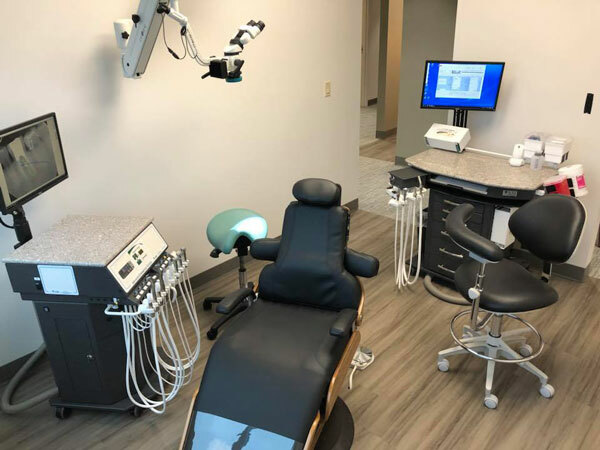 Enhance the patient experience and perception through the technological interface used during procedures and by removing unsightly clutter of cabling, wires and extra foot controls. Improve treatment efficiency to minimize unnecessary motions in order to perform treatment in the least amount of time necessary, allowing more procedures to be performed in one day without compromising quality. 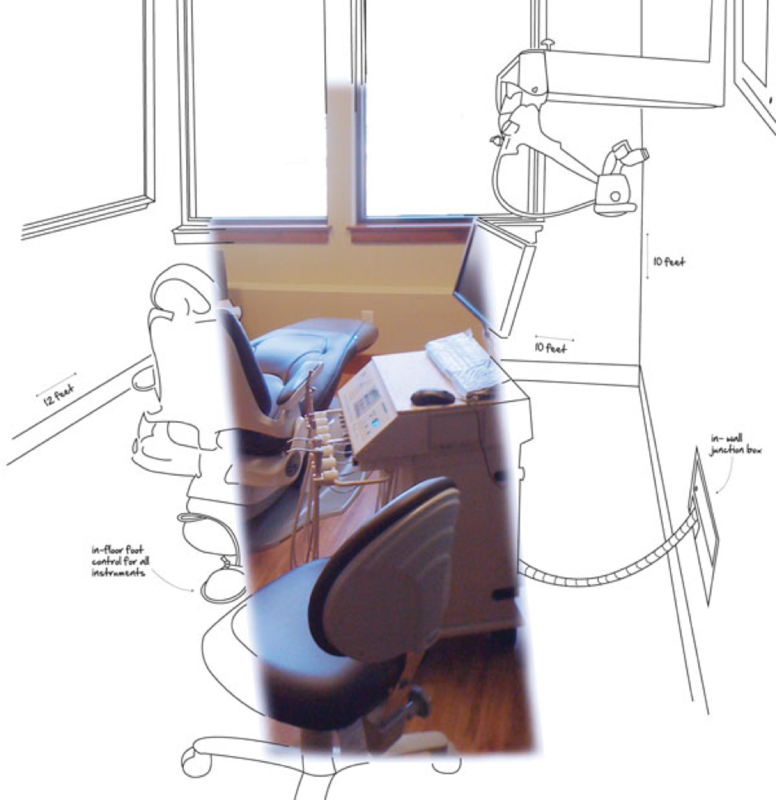 Facilitate ergonomic positioning and methodology for both the dentist and the Assistant. A more relaxed practice method is vital for extended treatments, improves the mental focus of the team and can enhance patient perception during the procedure. 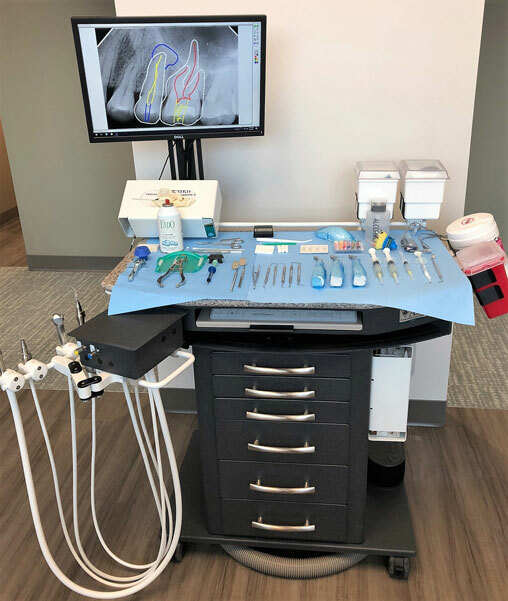 Have a flexible operatory space that can be easily reconfigured as needed or upgraded with new technology as it becomes available. Open – This type is an open bay with multiple patient chairs contained in the room. Although it is highly cost effective, the non-privacy aspect doesn’t permit wide use and is usually found in orthodontic type practices. Single Entry – This type of treatment room is separated by walls to divide operatories and provides the most patient privacy due to only one entry into the room. It also can allow for smaller room design by eliminating a second entry so can be more economical and permit more density of operatories for limited office floor space. It can however restrict staff movements in and out of the room during treatment so proper planning and use of modular system should be utilized to ensure uninterrupted traffic flow. Dual Entry – This type of treatment room is separated by walls to divide operatories and provides reasonable patient privacy. The major benefit is how well it facilitates patient and staff traffic by allowing entry from either side of the patient chair and room. It does require wider room design to permit a second entry. Create an operatory design that will be flexible enough to grow with you to help you to achieve your ultimate financial goals. 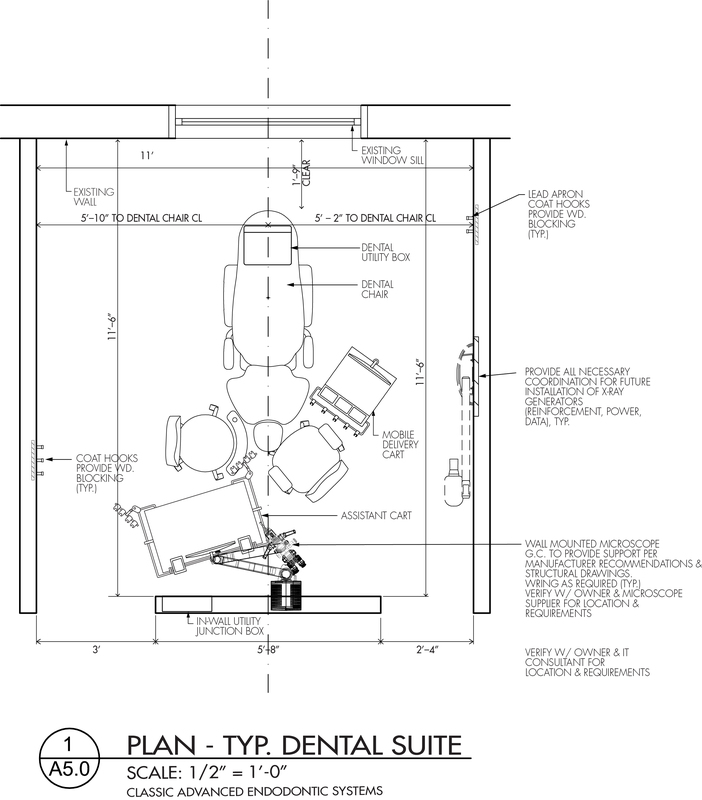 A system that allows modular integration can save significantly on office build out costs by eliminating traditional expensive wooden dental cabinets. The considerable amount saved by potentially not buying cabinets can go a long way towards the technology purchases you do want to prioritize. Modular integrated delivery systems and Assistants’ carts that complement each other can facilitate not only efficient treatment but also work well in conjunction with digital radiography, microscopes and computerized inputs. 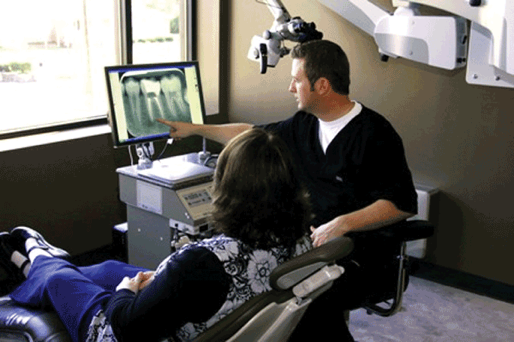 This eliminates the need to use heavy wood casework found in traditional dental designs. Choosing the right delivery style for your operatory can effect ergonomics, patient experience, and practice productivity. Planning for a new office is an ideal time to carefully review and select the delivery style that will optimize procedures for you and your assistant. 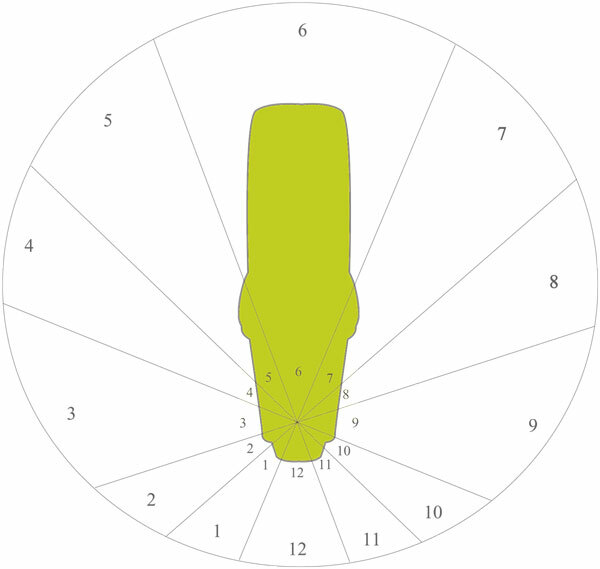 The clock diagram provides a handy reference for describing the positioning of instrument access by the Doctor and Assistant. For example, the patients head is at the 12 O’clock position while the patient’s feet would be indicated at the 6 O’clock position. Determine the method of instrument delivery that is best for you by evaluating and selecting from side, rear or over-the-patient delivery. Side delivery is the most desirable. It offers the advantages of front instrument delivery without having any apparatus on top of the patient. The system is positioned to remove instruments from the patient’s view upon entering the treatment room. Whether choosing a side wall-mounted arm or cart system, it is ideal for the foot control tubing to run through a conduit under the floor. It can then exit behind the patient chair. This solution eliminates the need to position the foot control each time to use it. Recommended Room Size: 10’ – 12’ wide by 10’ – 12’ deep. Restricted to either right or left handed operator (Quick connect options alleviate this restriction). 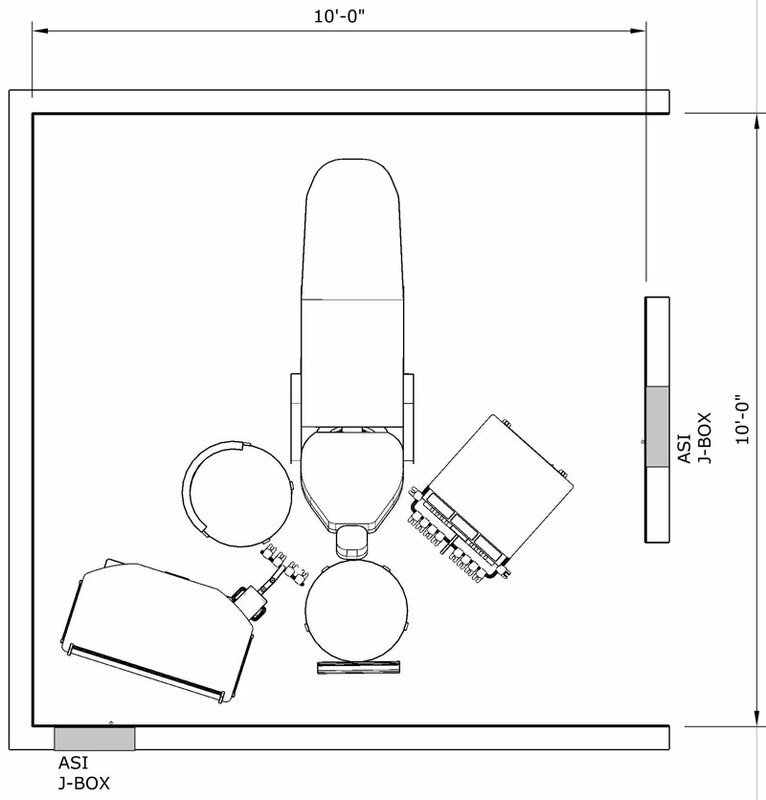 Rear delivery, or 12 o’clock delivery, places both the Doctor’s and Assistant’s instruments at the rear of the room.This simplifies plumbing locations. It also places the instruments conveniently in front of the assistant to transfer to the Doctor. Recommended Room Size: 9’ – 12’ wide by 10’ – 12’ deep. Over-the-patient delivery can fit in small operatories. Typically this delivery method is sold as a package with a chair. There are several major drawbacks to over-the-patient style. Decreased patient comfort coupled with raised patient anxiety are possible. Interference with microscope positioning is another potential problem. Additionally, size constraints may limit the integration of new technologies. Recommended Room Size: 8’ – 12’ wide by 9’ – 12’ deep. Right and left-handed capability can be accomplished with any of the delivery styles. Side delivery carts can be attached to a floor junction box or be equipped with quick disconnects that allow the cart to be easily rolled to either side of the room. Chair mounted units can be placed on chair models that feature an ambidextrous mounting hub under the toe of the chair to allow the system to swivel to the right or left side. 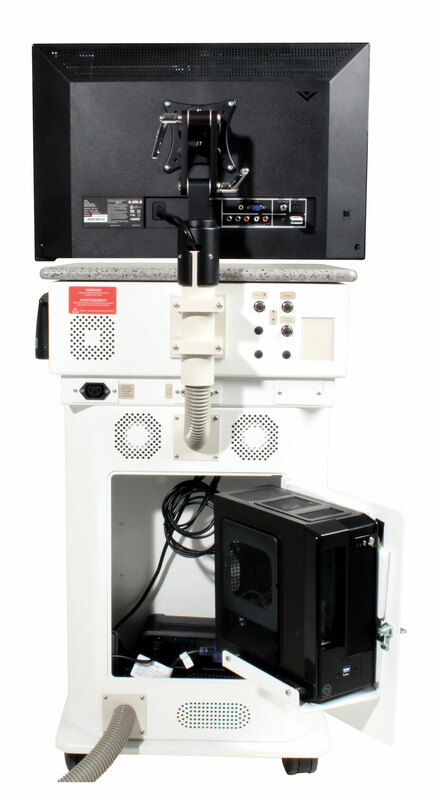 Rear cabinet swivel mounts can be equipped with assistant’s instruments on both sides of the cabinet, allowing the unit to swivel toward the doctor and have the assistant sit on the opposite side. 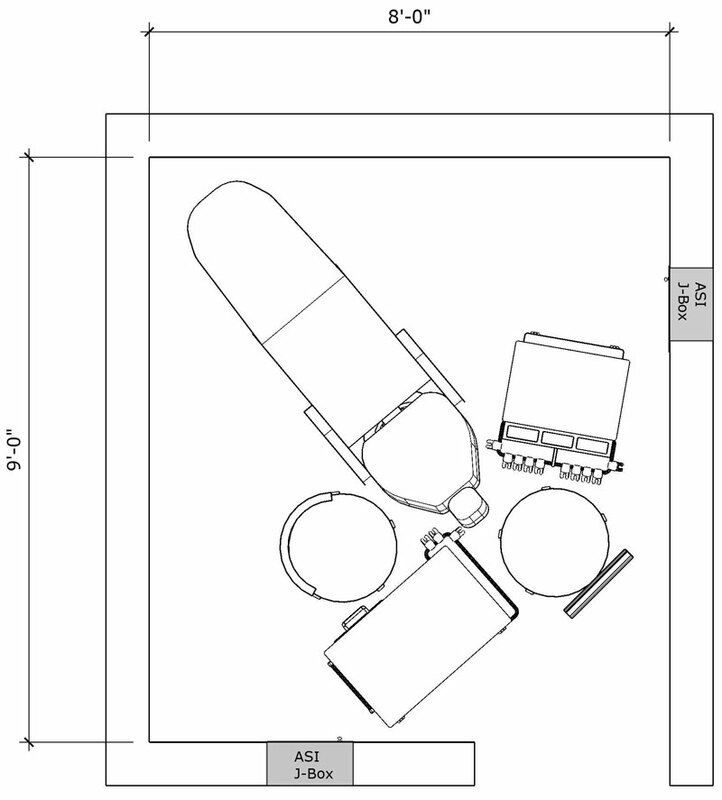 Ideally Assistant’s instruments should be located in the rear of the room and not off the side of the chair. This way they are facing the assistant and easy to access. Efficiency in modern dental offices requires the assistant to be an integral part of the team, making ergonomics and accessibility to instrumentation crucial. Although assistant’s instruments can be post-mounted off of the chair, this is not recommended due to the poor ergonomics and inefficient access for the assistant. This should only be considered if the room dimensions do not allow rear delivery. Additionally the rear treatment area can provide work surface holding trays, supplies and auxiliary equipment such as keyboards. Modular systems that roll easily can provide ideal preferred ergonomic placement of instrumentation, supplies and viewing of monitors for the assistant. Additionally they can be moved to allow for egress of the assistant in single entry operatory designs. ASI’s exclusive instrument panel design allows integration of your preferred instruments in the order you choose. Each modular panel accommodates a wide range of electronic instrumentation including electric motors, rotary motors, ultrasonics, apex locators and obturation devices. Select from various brands while choosing the placement of each instrument, and control them all with a single foot pedal. Add an Assistant’s cart for a customizable and ergonomic delivery system that complements your own. The modular design allows for easy upgradability of your instruments or incorporation of new technology as it develops. Consider designing your system to integrate computer monitors, USB connection ports, CPUs and any additional required cabling neatly within the system yet with convenient access. This makes the entire system your communication control hub from treatment instruments to diagnostic devices. In addition, keep wiring and utilities safely and attractively hidden from view. ASI’s unique in wall Junction Box allows not only compressed air, suction and electrical supply to be neatly organized along with computer connections such as video, USB, network and other IT connections. A final touch is to consider running the foot control under the floor. The foot control tubing of an ASI system can be run underneath the floor through a conduit from the junction box to the patient dental chair. This enables easy access to the foot control without tubing running across the floor. You can convey the ultimate perception to your patient that the treatment they are receiving is a highly specialized procedure from someone with true expertise. 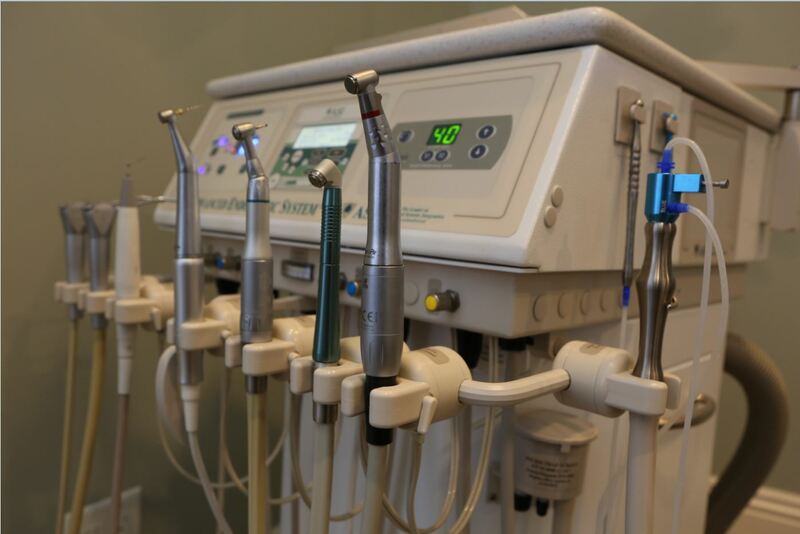 Consider the value and confidence the patient will perceive while in your fully-integrated, seamless treatment room rather than looking at scattered instrument control boxes, multiple foot pedals, and various cords draped across expensive, space-eating storage cabinets and countertops. The versatility of ASI’s custom integrated cart system creates several key advantages for the specialist. The infinite positioning of the cart allows the clinician to maneuver their system within close reach during the procedure. It can then be repositioned out of patient view after the procedure is complete. A monitor mount creates an intimate environment for both patient education and clinical use. The attractive stone work top provides ample space for a keyboard and mouse. Side delivery has become the popular method. In dynamic office designs there is a strong focus on functionality and ergonomics. An ASI cart positioned at the doctor’s dominant side requires the least amount of tasking movements during a procedure and works efficiently with microscope dentistry. An aspect of a new operatory design often overlooked during architectural planning is the placement of the foot control. The foot control tubing of an ASI system can be run underneath the floor through a conduit from the junction box to the patient dental chair. The end result creates easy access to the foot control without tubing running across the floor. Avoid buying expensive cabinets for your treatment room. Instead, give it a clean and modern appearance. 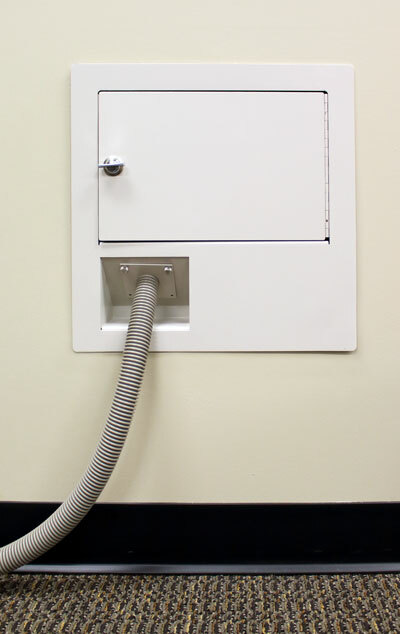 Conceal and protect your operatory plumbing and electrical with ASI’s In-Wall Junction Box for ASI delivery systems. With a little planning, the junction box can easily be installed in the wall between two studs (similar to a washing machine connection box in households.) ASI delivery carts with computer monitors can run network, USB or monitor cables through the same umbilical as the air, suction and electrical. The In-wall junction box efficiently manages all the various tubing, wires and cables.